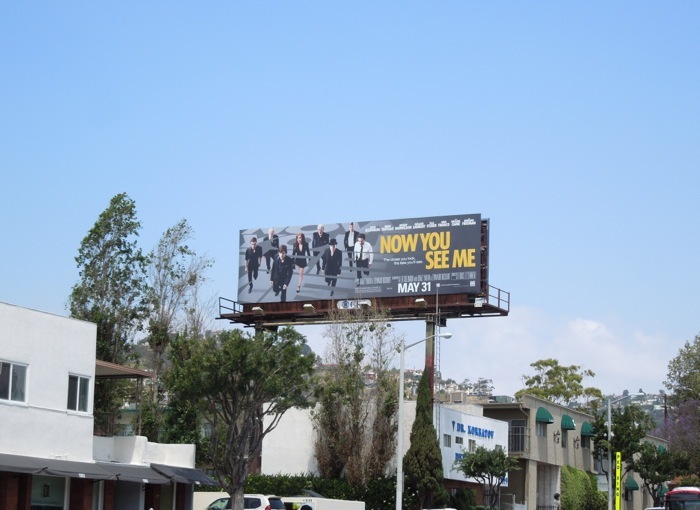 In these Now You See Me movie billboards the all-star cast do their best Ocean's Eleven impression, which is totally appropriate considering the premise of this magical movie pays homage to the master illusionists of Las Vegas. 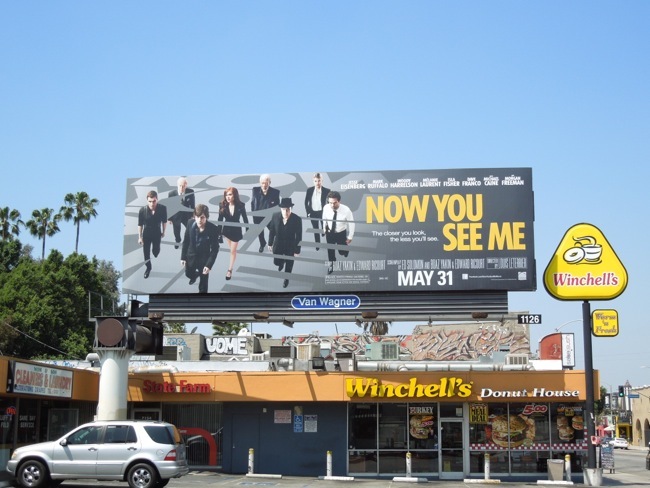 These magicians though are not just content to entertain the crowds, they're out to rob banks and elude the FBI and Interpol with their tricks too. 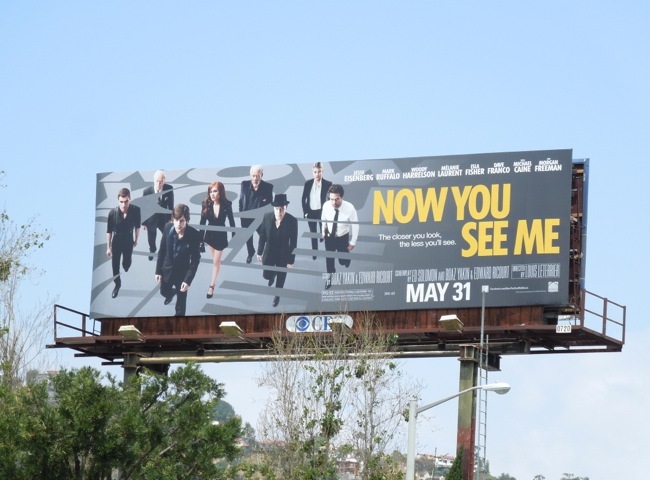 Jesse Eisenberg, Woody Harrelson, Isla Fisher and Dave Franco bring the style and swagger as the team of modern day Robin Hood illusionists, pursued by the likes of Mark Ruffalo, Michael Caine and Morgan Freeman. 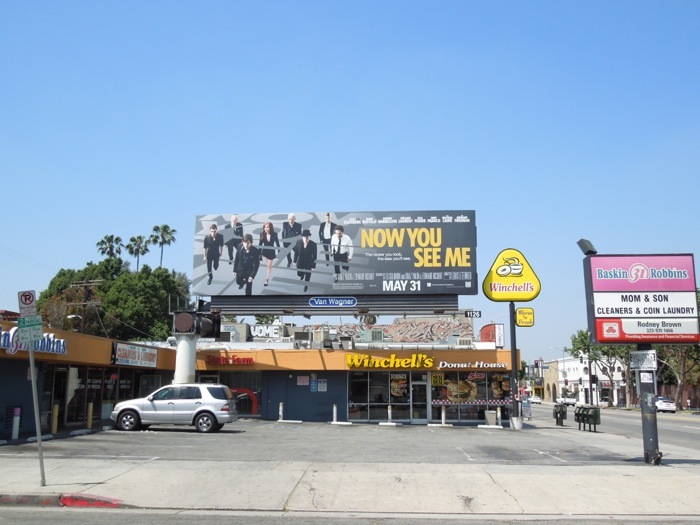 These ever so cool billboards for the magical crime heist movie were spied along Melrose Avenue and Fairfax Avenue in the first week of May 2013. 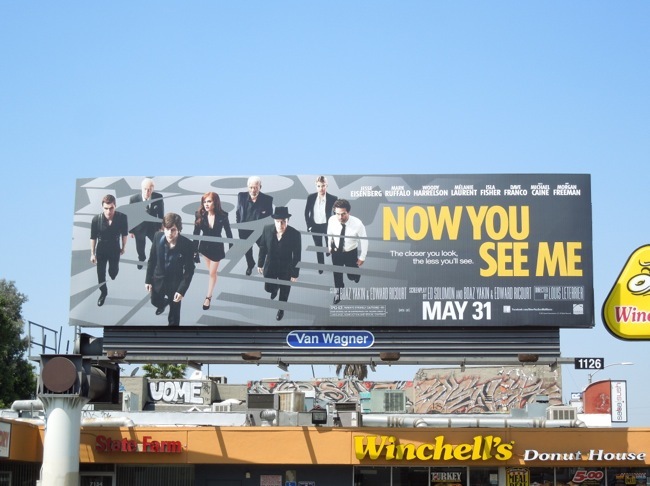 The magician-themed comedy The Incredible Burt Wonderstone didn't cast a spell over cinema goers earlier this Spring, so let's hope when all is revealed Now You See Me won't disappoint.